Russia’s state-of-the-art Kamov Ka-52 combat helicopter has passed all tests to be approved for deployment on Navy vessels. The aircraft will be used with Mistral-class carriers, which Russia buys from France. During a two-week trial in the Barents Sea, a modified Ka-52 successfully performed various maneuvers, including landing on a moving vessel. The aircraft’s landing gear proved sufficiently robust to withstand the tilting of the ship. The helicopter was piloted by Naval aviation veteran, Vitaly Lebedev. said a statement from the Northern Fleet, which provided the anti-submarine ship “Vice-Admiral Kulakov” for the tests. 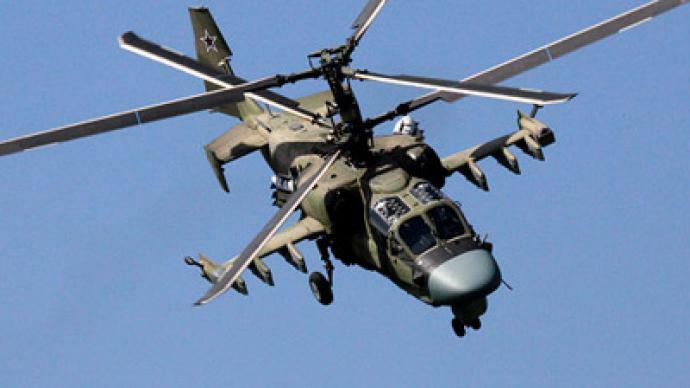 The military believes the Ka-52 has proved itself capable of being deployed from any suitable vessel of the same class or bigger. That includes the French Mistral-class helicopter carriers, two of which Russia bought earlier this year. Moscow is in negotiations with Paris about building two similar vessels in Russia on license. 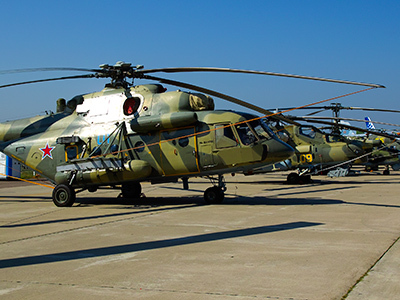 The Ka-52 is tipped to become the helicopter of choice for the French vessels. 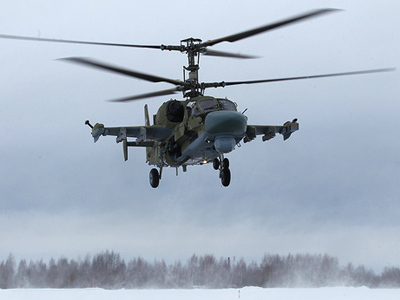 The Kamov Ka-52 “Alligator” is a two-seat twin-rotor multitask combat aircraft based on the design of the Ka-42 helicopter. It has a top speed of 310 kph and practical range of 520 kilometers. 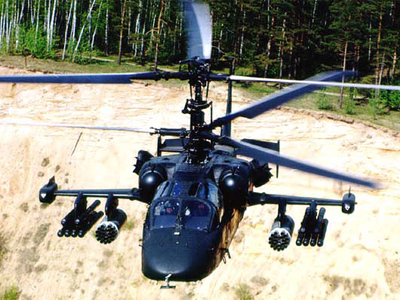 It has an advanced targeting system, which allows distribution of targets between several helicopters acting as a team.